Pacific Rim: Uprising is coming on March 23, 2018. and will bring back the giant-robots-vs-giant-monster action we know and love. 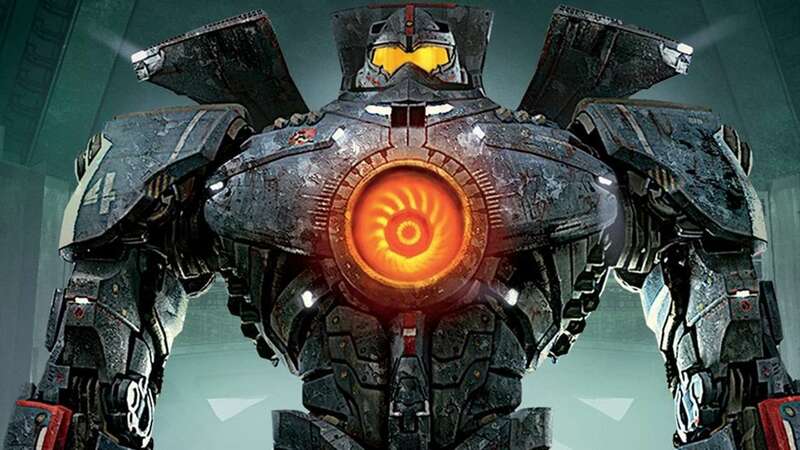 In the last movie Pacific Rim, we met a bunch of awesome giant robots called jaegers with cool gadgets like spinning blades and rocket-powered judo so the bar is high for the robots in the sequel. However, Pacific Rim: Uprising isn't the first or the last movie or TV show to have awesome giant robots in it. Here at Geek Twins, we decided to honor these metal behemoths with the 10 coolest giant robots of all time. 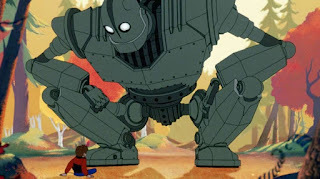 In 1999, the movie The Iron Giant was released. Based on a 1968 novel The Iron Man and set in 1957 during the Cold War, it was about a young boy who discovered a giant robot that came from outer space. The boy tried to stop a paranoid federal agent from bring the U.S. military to destroy the robot. The Iron Giant was a lovable robot who just wanted to eat metal and play games, voiced by the rumbling tones of Vin Diesel. He was a memorable and powerful robot with a true heart of gold. 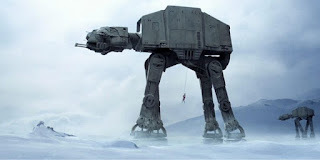 Not all cool robots have a brain or a personality, and the Imperial AT-AT Walkers from 1980's Star Wars: The Empire Strikes Back proved that. The All-Terrain Armored Transport (AT-AT) was basically a tank that walked on four legs instead of tractor treads. It's got a lot of weapons and can travel vast distances quickly, but its main purpose is to terrify enemy troops. When the rebels see AT-ATs on the horizon, most troops start running. 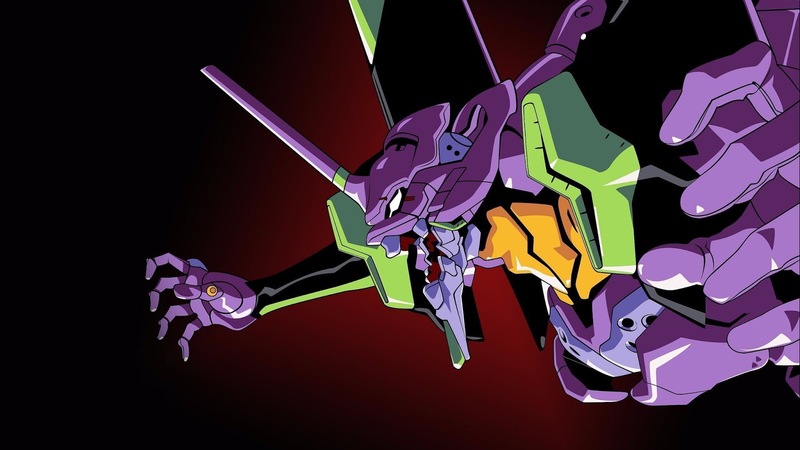 In 1995, the epic series Neon Genesis Evangelion began, an anime about cyborgs named Evangelion piloted by children to fight gigantic monsters nicknamed Angels. There have been a lot of amazing Evas but the first one is still the best. Unit 01 showed the complex relationship between the machines and their pilots because it was linked to the soul of the pilot's mother but also could do a lot of damage to monsters big enough to tear down buildings. It's morphin' time! With those words, the Mighty Morphin' Power Rangers transformed from normal teenagers into powerful warriors. But when that was not enough awesomeness, the Rangers would jump into their robotic Dinozords. 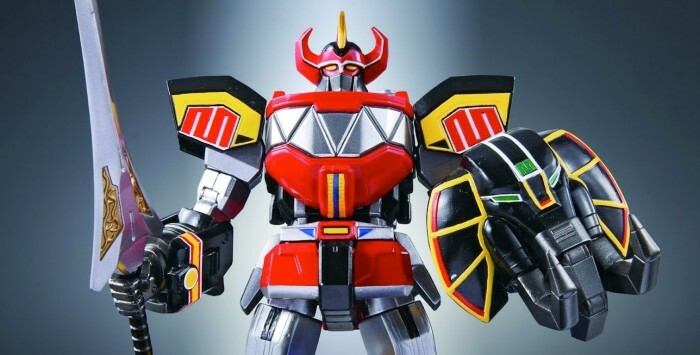 And when even that wasn't enough, the Dinozords would combine into the Megazord. The first Megazord blew kids away and has been followed over the years by many more, always with incredible power. Still, there's nothing like the original. Godzilla was a thorn in Japan's side for decades and the governments of the world used everything from giant laser guns to nuclear weapons. One of the more successful attempts came when aliens decided to fight fire with fire. In 1974's Godzilla vs. Mechagodzilla, aliens created a robot duplicate of Godzilla that almost killed the monster with lasers and missiles. 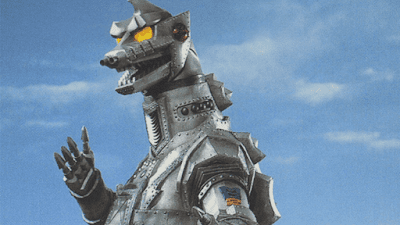 Mechagodzilla lost the battle, but the idea of a giant, remote-controlled Godzilla is one of the coolest things ever. 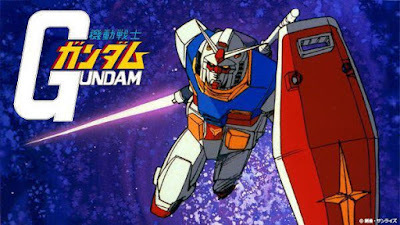 In 1979, Mobile Suit Gundam introduced the RX-78-2 Gundam (better known as just the Gundam) in the war between the Earth Federation and the Principality of Zeon. The Earth Federation turned the tide of the war by launching the experimental robot with an untested civilian pilot Amuro Ray who proved to be the key to the machine. Gundam revolutionized mecha anime because before, giant robots were more like superheroes than machines. Gundam changed the game by showing the robots as weapons instead of heroes and their pilots as ordinary soldiers but the Gundam was also just an amazing robot to watch in action. In the original Japanese anime Super Dimension Fortress Macross and its English adaptation Robotech, the mecha VF-1 Valkyrie was developed by Earth scientists who reverse-engineered an alien spaceship. It had not one or two but three awesome modes. It started out as a fighter jet that could fly in an atmosphere or even outer space, so it was no slouch, but it could also turn into a VTOL mecha with arms and legs. If that didn't do the job, the Valkyrie would turn into a full-on giant robot. Other mecha came after it, but the Valkyrie was the ultimate for fans. In 2013, Pacific Rim brought us to a near future where monsters from another dimension called kaiju attacked cities all over the world. Only the giant robots named Jaegers could stop them. Piloted by two soldiers linked together cybernetically, the star Jaeger in Pacific Rim was Gipsy Danger. Gipsy also delivered a rocket-powered punch and had a spinal column sword as backup. While Gipsy Danger was considered old and outdated, its antiquated technology allowed it to survive a kaiju attack that destroyed the others. In the world of the Transformers, the giant alien robots are divided into two warring factions: the Autobots and the Decepticons. 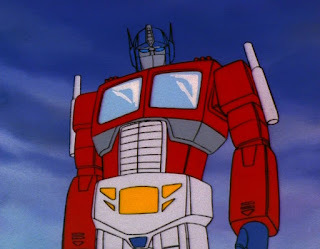 Among the Autobots, their most heroic leader is Optimus Prime. He can turn himself into a semi-truck, but he's at his best when he turns into the massive humanoid warrior he is. Of all the Transformers, Optimus Prime is the most iconic, especially since the movies. He represents the most selfless and brave of all the Autobots, more so than most humans. 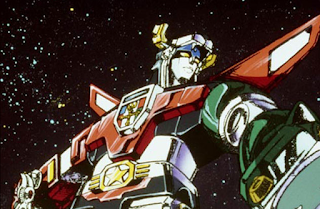 In 1984, Japanese giant robot anime made a huge splash with Voltron: Defender of the Universe. With a first season adapted from the Japanese anime television series Beast King GoLion, Voltron was a collection of lion-robots that combined into the massive mech in order to defend Arus from King Zarkon and his evil ro-beasts. When Voltron unleashed his sword, it was always game over for the bad guys. 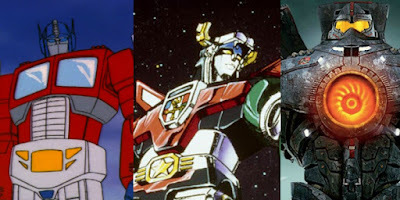 What's your favorite giant robot? Let us know in the comments!